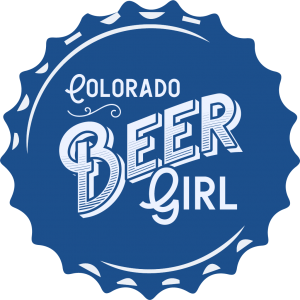 Highland Tap & Burger’s Crafty Ladies Beer Club has done it again. The July event was yet another interesting, informative, and delicious affair. 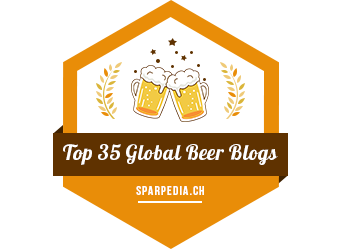 This time, the beer came all the way down from Juneau, Alaska, along with one of the brewery’s employees. And it was a vertical tasting of their smoked porter, from 2011, 2008, 2004, and 2000. The folks at Alaskan Brewing set it up so that we started off with the smokiest of all, the 2011. And smoky it was. Paired with Highland Tap’s own homemade tortilla chips and salsa verde this course was nicely though out, as the spiciness of the salsa seemed to help smooth out the overpowering smoke flavor of the beer. The beer itself was like drinking a glass of captured campfire smoke, a smell common to residents of Juneau due to cooler temperatures which allow bonfires to be enjoyed even during the summer. The 2008 porter was slightly less smoky and, to me, more enjoyable. Served with it was gourmet macaroni & cheese–always scrumptious enough on its own–but which also went perfectly with this beer. 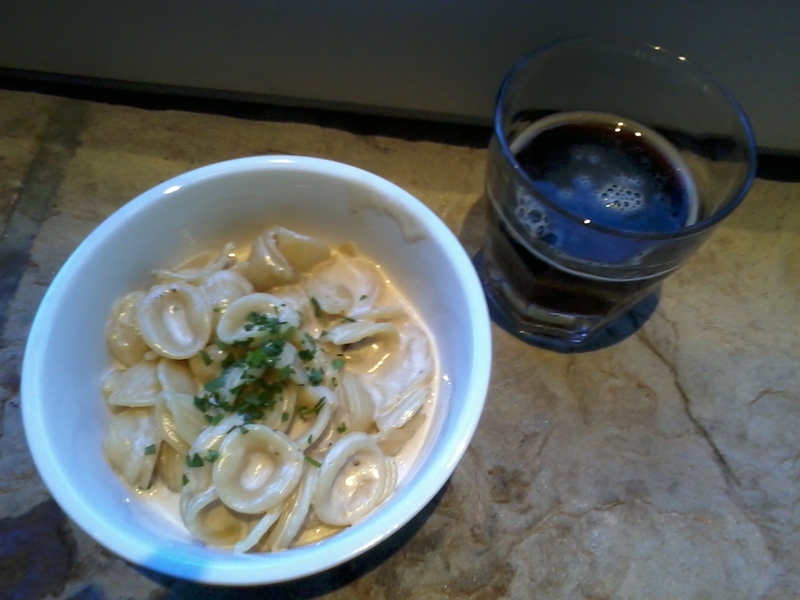 The rich creaminess of the dish alongside the somewhat strongly flavored beer was like the ultimate comfort food meal. It kind-of made me look forward to cooler temperatures, staying in for the night and appreciating the simple pleasures of a quiet winter’s night while getting fortified with great food and beer that’ll stick to the ribs. The third course was bratwurst marinated in smoked porter, spicy brown mustard infused with smoked porter, and potato wedges with melted cheese, all with Alaskan Brewing’s 2004 Smoked Porter. I had to pass on the bratwurst, but the potatoes with cheese and mustard were ridiculously tasty. The beer, while obviously smoked, was a little too watered down and weak to drink on its own, though I did like it with its food pairing. Last up: dessert. 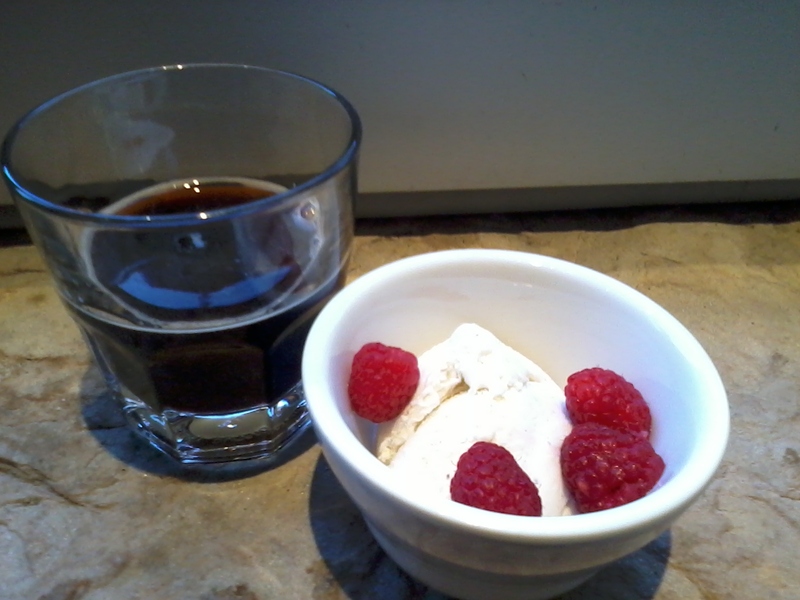 Vanilla ice cream with fresh raspberries and 2000 Smoked Porter. As if the ice cream and fruit wasn’t delicious enough, it was suggested we all save a bit of beer to pour over the dish. Mmmmmmmm! This is definitely something I can see myself replicating at home…often. This was the first vertical tasting I’ve experienced at a Crafty Ladies event, and I loved it. It was a nice change of pace, and I would like to see something similar to this in the future. And it was even more exciting to me as a girl who enjoys dark beers. Part of the fun of these monthly events is that one never knows what to expect. But it’s pretty much guaranteed that if you like beer, food, and hanging out with the ladies for the night, it will be a wonderful time. 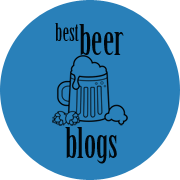 Next Post Mile High Spirits: No beer, but you should go here!